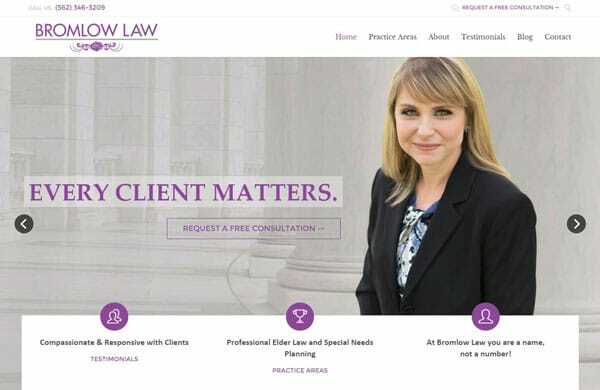 Omnibeat is very proud of Laura Bromlow of Bromlow Law to be setting up her own Law Firm to help people who really need it. Her specialty is in elder care, special needs and VA benefits; however, that’s only a small part of the story. Laura was a practicing attorney who took time off to be a mother. 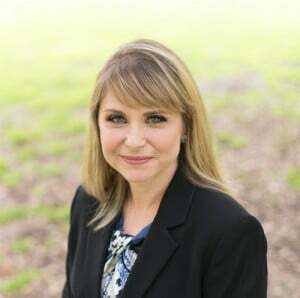 She is now back to practicing law, being a mom and helping others. It can be very scary and overwhelming, especially in this day and age of how people communicate and refer business to look for assistance with their family protection needs. I’m sure when Laura went to law school, internet search and resources were probably at a bare minimum compared to how they are now. The amount of information you can get and the ability to search for the right person has become overwhelming. This is where we’re proud to be not only her online partner but we have helped to guide her in her overall digital marketing plan. This all stems from me becoming a member of ProVisors which is an excellent high level networking group which has a large percentage of attorneys and other professional services as members. The idea is to know, like, trust and then refer each other. It’s a safe haven for professionals to differentiate the exact service that they offer and to become part of vast network referral system for each other’s clients. Prior to joining ProVisors a large amount of the work that Omnibeat did was social media marketing while promoting products and services for medium-sized businesses. After becoming a member of ProVisors as I realize that the professional services industry needed more of the foundation to have a digital marketing plan, a great website, SEO, blogging, email campaigns and much more before they were ready for any social media marketing. This has been a great exercise for us to add services that we now offer and to work with smaller professional services who aren’t sure where to turn to get real support. They have a need for a complete digital marketing solution. If you knew Laura Bromlow when you went to her website you would say wow that’s Laura! The look, the feel the whole presence has been captured. It is through a process of really understanding the client, what they stand for, what services they provide and how we can create positive credibility that will in turn lead to interest from the perspective viewer. It is challenging yet very rewarding to help professional services clients who are great at their craft but need help to be able to share their unique story online please. Please take a moment check out Laura Bromlow’s online presence and consider her if you need assistance in her expertise. In celebration of Elder Law Month, Bromlow Law will be hosting an open house event on Saturday, May 23 from 10 a.m. until noon at her office in Long Beach at 5150 E. Pacific Coast Highway, Suite 775. Mrs. Bromlow will offer complementary Advance Health Care Directive Kits, free hour-long consultation sign ups and a seminar covering an overview of Elder Law and how it can help you and your loved one. Light refreshments will be provided as well. If you would like to attend, please RSVP to Laura at (562) 346-3209 or laura@bromlowlaw.com.